God of War 3 Remastered was just announced during the event celebrating the 10th anniversary of the PlayStation franchise. Sony revealed release date of the game for the PlayStation 4. 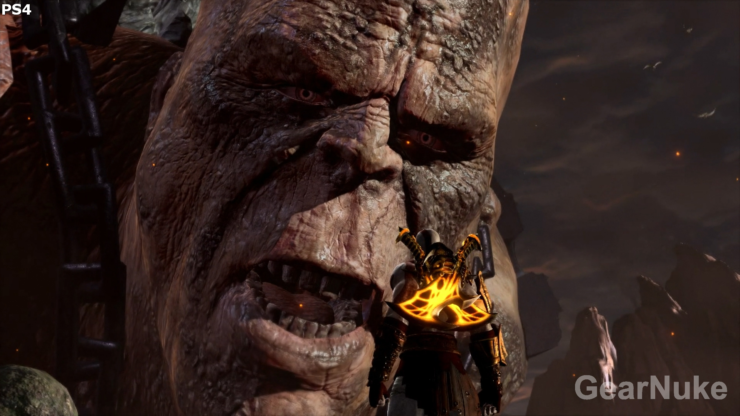 Below you can view some of the main features from God of War III Remastered. One of the most critically acclaimed games of the last generation, God of War® III, has been remastered for the PlayStation®4 (PS4™) system, marking the debut of Kratos on PS4. God of War III Remastered brings the epic battles and carnage to life with stunning graphics, 1080p gameplay and an elaborate plot that once again sees Kratos at the center of destruction as he seeks revenge against the Gods who have betrayed him. Set in the realm of brutal Greek mythology, God of War III Remastered allows players to take on the role of the fearless ex-Spartan warrior, Kratos, as he rises from the depths of Hades to the heights of Mt. Olympus in order to seek his bloody revenge on those who have betrayed him. Armed with double-chained blades and an array of weapons and magic, Kratos must take on mythology’s deadliest creatures while solving intricate puzzles throughout his merciless quest to destroy Olympus. KRATOS DEBUTS ON PLAYSTATION 4 – Beautifully rendered gameplay targeting 60FPS at 1080p, God of War III Remastered is ready for the next generation and looks stunning on the PlayStation 4 system. All previous DLC costumes and content from God of War III are included in God of War III Remastered. PHOTO MODE – God of War III Remastered’s Photo Mode offers players a wealth of creative camera and lighting options, allowing them to freeze, edit, and share photos of all of Kratos’ bloodthirsty exploits. 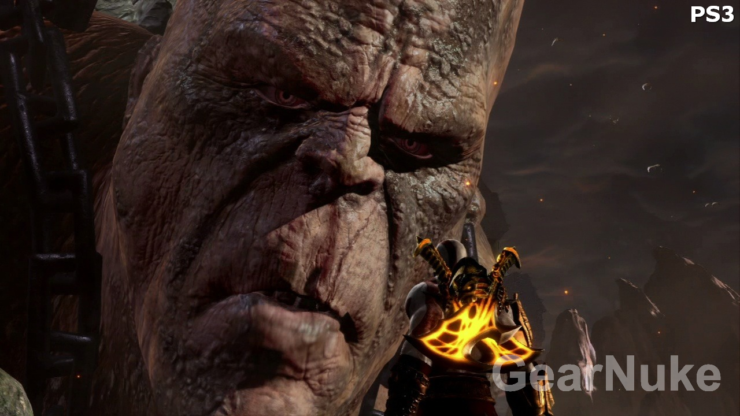 STYLIZED REALISM – Players will battle in meticulous and unique 3D worlds, now refreshed in stunning detail and lit by thousands of dynamic lights and textures with four times the resolution versus last gen. God of War III Remastered captures every vengeful detail with realistic muscle striations and detailed facial expressions. SIGNATURE GOD OF WAR GAMEPLAY – Experience the brutal combat, intricate puzzles, exploration of awe-inspiring worlds, and a compelling and satisfying ending to Kratos’ epic story. 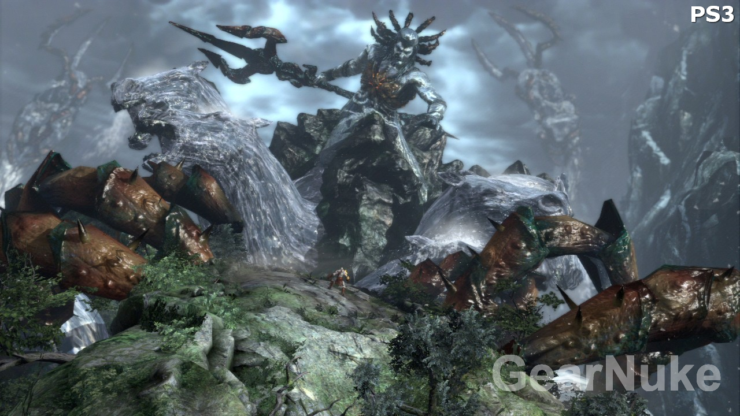 SOPHISTICATED STORYLINE – The story of God of War III is the epic conclusion to Kratos’ Greek trilogy. Picking up from the Titan-sized cliffhanger of God of War II, God of War III takes Kratos right to the heart of Zeus’ stronghold on his quest for vengeance. 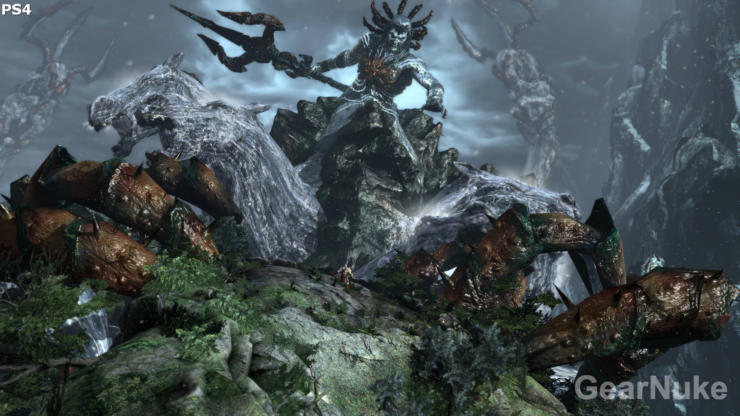 It was also mentioned that the team targeted 60 frames per second for the game, but as Director of Product Development Tim Moss, mentions below, God of War III: Remastered, achieves that goal. I’ve been playing it a lot, because I’ve been working on it. It’s pretty damn good. It definitely looked pretty good in 2010. We always have unhooked frame rate on all of our games. one of the God of War things is we never lock it to 30 and we always hope that everything is gonna get optimized to run at 60 even when we release it, but now of course on the PS4 it really does run at 60, and it’s an amazing game. It really is. The PS4 controller is a lot better than the PS3 controller. The sticks are better, the buttons are better, and that I think makes God of War 3 a more compelling game for me. Senior Technical Artist Richard Greenspan expresses his feelings about the visual quality of God of War III Remastered. It’s the same game but it really does look gorgeous. It’s a game that’s meant to be played at 60, really, so it’s very nice. The three Omegas (Ω) are likely teasing the fourth installment of the franchise. It’s quite probable that we will be getting a God of War 4 announcement and hopefully some gameplay footage at E3, 2015. God of War III Remastered Coming to PS4 on July 14, 2015. We will bring you any new information on God of War III Remastered, as well as God of War 4 as soon as it becomes available.